The rosters for the 2017 West Coast League All-Star Game will be released at noon today. Check out our website to see which Knights were selected. The game is set for 7:05 p.m. Tuesday, July 18, at Yakima. The Knights host North Division first-half champion Kelowna in the final three games of a season-long 10-game homestand, starting at 6:40 p.m. today. They are the only games between the teams this year, as Corvallis does not travel to Kelowna because of the WCL’s unbalanced schedule. The Falcons won the North Division’s first-half championship to clinched a postseason playoff berth. They went 17-10 to edge Bellingham by one game. Corvallis leads the all-time series 43-20 and is 16-8 against the Falcons in Goss Stadium. They have never met in the playoffs. The Knights won the South Division’s first-half championship with a 17-10 record to clinch an automatic postseason berth. They have now qualified for the playoffs in 11 consecutive seasons, the longest streak in WCL history. Corvallis opens a three-game series at Port Angeles on Friday. They are the final games for the Knights before the July 17-18 all-star break. Former Washington State pitcher Kellen Camus has been added to the coaching staff for the remainder of the season. A native of Olympia, he is an assistant at Central Washington. For more on that story, please click here. Sunday’s crowd of 1,848 raised our total attendance this season to 30,576 for 21 dates, an average of 1,456 per opening. That’s up 1,198 from a corresponding date in 2016. The San Diego Padres have promoted pitcher Trevor Frank (2012) to El Paso of the triple-A Pacific Coast League from Lake Elsinore of the high-A California League. He was drafted in 2013 by Cleveland out of UC Riverside and is in his first season in the San Diego organization after being selected in the Rule 5 draft last winter. Tampa Bay has returned outfielder Cade Gotta (2011) to Montgomery in the double-A Southern League after a month with Durham in the triple-A International League. Cade hit .267 (24-90) in 26 games with the Bulls, with no homers and five RBIs. Pitcher Elliot Surrey (2013) has been activated by the Mariners and assigned to the Arizona Rookie League. He played for Everett in the Class A short-season Northwest League in 2016. The Red Sox have promoted reliever Stephen Nogosek (2013) to Salem of the advanced-A Carolina League from Greenville of the low-A South Atlantic League. He was 2-3, 2.55 in 23 games at Greenville, with 13 saves and 45 strikeouts in 35.1 innings. He also made the South Atlantic League Midseason All-Star team. 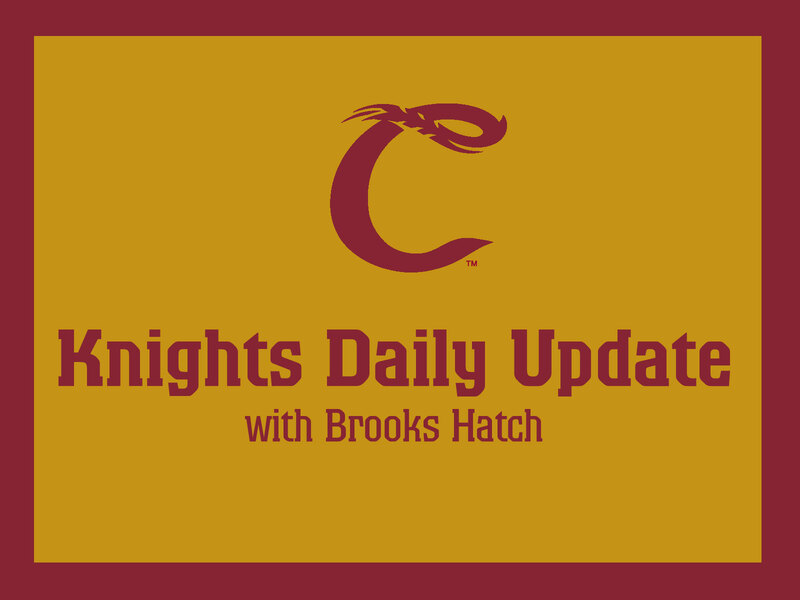 For a complete, updated list of Knights in affiliated baseball, please click here. 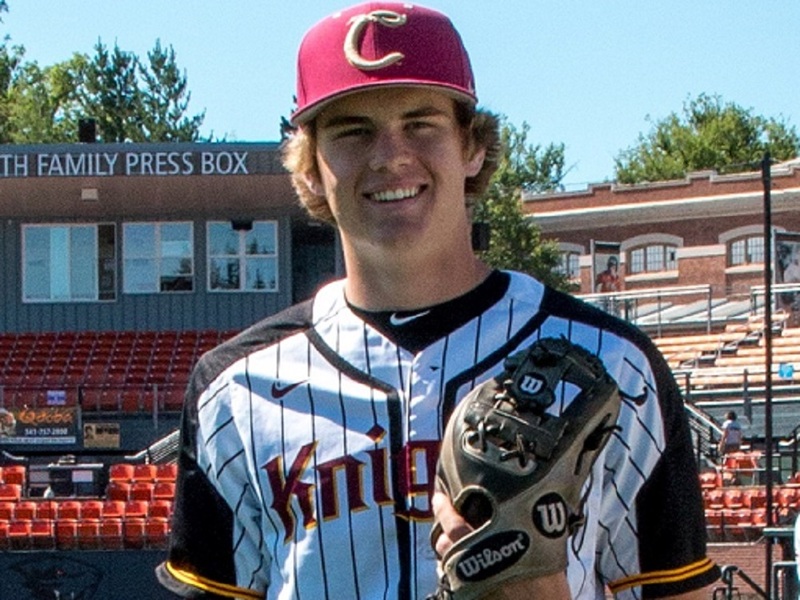 Lancaster (A California, Rockies) catcher Chris Rabago (2012-13) was 2-for-4 with three RBIs, two runs and a triple in an 11-6 win over Stockton on Sunday to earn Corvallis Knights Minor League Player of the Day honors. Chris played at UC Irvine. El Paso (AAA Pacific Coast, Padres) catcher Rocky Gale (2007, 2009) was 2-for-3 with a run in a 5-2 win over Salt Lake. He played at Portland. ARL Athletics pitcher Slater Lee (2015) earned his first professional win with two scoreless innings in a 5-2 win over the Cubs. He had two strikeouts. Slater played at Cal Poly. Hartford (AA Eastern, Rockies) pitcher DJ Johnson (2008-09) earned his sixth holds with .2 scoreless innings in a 7-3 win over Binghamton. He played at Mt. Hood CC. That’s all for today. See you at the ballpark tonight, and back here on Tuesday.